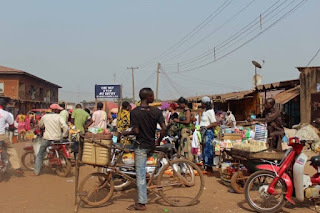 At least six persons lost their lives Saturday night in a clash between rival cult members in Otukpo, the headquarters of Otukpo local government area of Benue State. Sources from the ancient town told Daily Sun that two of the victims were killed at a popular drug (marijuana) joint known as Banana Island, with another victim, who owned a barber shop at Akpa Street, said to have been shot outside his establishment. Following the development, many residents of the headquarters of the Idoma nation are anxious, with some moving their relatives from the troubled area to safer havens. Speaking to newsmen on the matter, chairman of the local government council, George Alli, who confirmed the development, said efforts were ongoing to bring the perpetrators of the crime to book. “We have confirmed the death of six persons this afternoon. I’m still expecting a clearer picture about this because they are going to come with a special squad to go after them.” Alli said. The chairman stated that the killers went into hiding after the act. He, however, assured that authorities would do their jobs to ensure they are made to face the full force of the law.